Using the latest software from AutoCAD we can offer 2D and 3D design and drawing services to offer solutions to cable assemblies or panel designs. Extensive data transfer methods using Adobe Acrobat and .STP/.IGS/.DWG conversion are available at Telegärtner UK. Successful panel design and manufacture for major European telecoms customers is just part of the achievements and experience within our design department. Telegärtner UK has an experienced and versatile design/development team that can take your projects from conception through to the finished product. 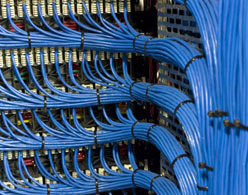 Whether you require a single cable, a new connector type or a piece of complex ready to install electronic equipment we can help. 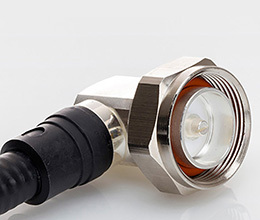 Connectors and components can be overmoulded or potted using our in house facilities to give up to IP68 protection. With our CAD design capabilities, close ties with many electronic and connector suppliers and a large and highly specialised local manufacturing database you can be assured of a cost effective, efficient service. Prototypes and specials can be turned round quickly either at our Radlett base or factory in Slovakia with the customer kept fully informed and involved at all times. The Telegärtner UK team is able to visit and discuss ideas and problems alike in UK or abroad. We welcome the challenge.